Although overshadowed by North Carolina's recent HB2 (forbidding transgender individuals from using the bathroom of their choice), the state's Republican majority has proposed a bill that could seriously undermine the colleges and universities that have traditionally served North Carolina's minority population. Despite its proclaimed aim to address the problem of student debt, SB873 likely will exacerbate the state's inadequate funding of Higher Education in general (a reduction of over 23% in State funding between 2008-2015) and potentially devastate the finances of four institutions that historically focus on African-American and Native American students. It would also encourage them to increase the number of their out of state students and overturn decisions made by students about projects they wish to support with their fees. Although notable for its explicit emphasis on institutions that serve primarily minority populations within the state, the North Carolina proposals are simply the latest in a series of legislative interventions into the decision making of public universities. These interventions combine a reduction of state funding with increasing micro-management in the name of the interests of students. As with recent cuts in Wisconsin and Illinois, North Carolina's Republican legislative majority has assumed a populist mantle while pursuing policies that would have their greatest negative effects on those colleges and universities that have the fewest resources and that serve the poor and people of color. First, the law institutes a regime that would ensure that tuition prices and student fees are held constant for students who complete their program in 8 semesters (10 for those in 5 year program), and for a time to be determined for transfer students. There is no provision about tuition raises for each entering class nor any indication of increased state funding, so one likely result is that institutions will expect those who enter later to subsidize those who have entered earlier. Second, it would simultaneously force a cut in student fees, starting in 2018. Strikingly, the law requires that student fees be cut between 10 and 25% below 2016 fee levels. Apparently this would all but prevent the construction of a new student union at NC Central in Durham--a campus and location known for its traditions of political activism, especially around civil rights. It may be a coincidence. I'll leave that to you. These first two elements--in the context of North Carolina's reduced funding for higher education--threaten to further undermine the overall quality of the state's higher education system. On the question of fees, which are often voted on by students, it represents the legislature's continuing intrusion into university life and their undermining of the University System's autonomy. On both questions it remains unclear how Margaret Spellings, recently appointed as President of the University System, will react. 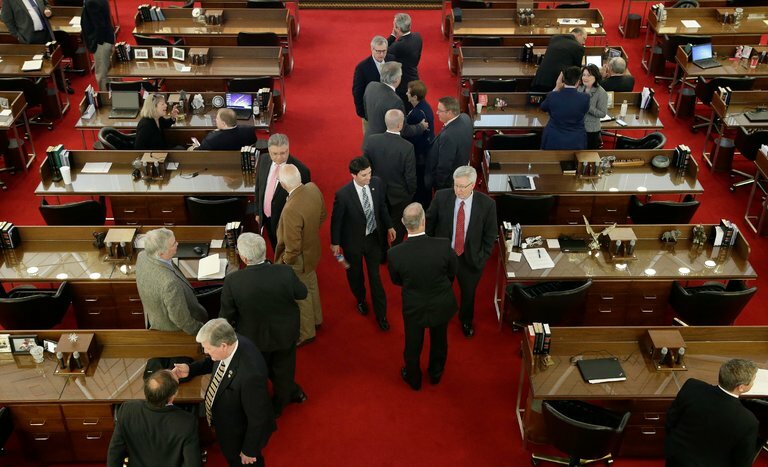 But the real heart of the Bill is in the sections dealing with the colleges and universities that have traditionally served North Carolina's minority populations. 1) SB873 lowers the tuition per semester for 5 institutions to $500 per semester. 4 of these institutions have made it their mission to serve historically under-represented groups (the fifth, Western Carolina University, has not had the same mission). To give an example of the effect, one of the institutions (Winston-Salem State University) currently charges $1619 per semester. So the law would reduce tuition revenue by over 2/3. Although the prime author of the bill has indicated that the legislature might raise funding to compensate, there is no such clause in the bill or anything on the horizon. The University's Faculty Assembly estimates that this clause of the bill will cost the four minority institutions roughly 60 Million dollars annually. 3) The Bill also encourages the University System to consider changing the names of these institutions. This suggestion is a real puzzler unless the purpose is to ensure that people no longer connect these universities with their historic missions. 4) The Bill does include new funds for merit scholarships to help a small number of students to attend either North Carolina Agricultural and Technical State University and North Carolina Central University (40 in-state and 10 out of state students at each institution). These are the State's other two HBCUs and they are currently on a stronger footing. By providing some increased incentive to attend NCA&T and NCCU while cutting tuition at Elizabeth City State University, Fayetteville State University, University of North Carolina at Pembroke, and Winston-Salem State University it appears that the State intends either to push the latter four institutions from their tradition mission of access or into financial insolvency. Jelani Cobb has suggested that North Carolina's efforts to control access to public bathrooms is a haunting return to the late 1950s and early 1960s battles over civil rights--including the conflict between federal and state authority, and the declaration of state's rights and God's morality against a minority seeking equal access to public facilities. SB873 is more than an echo. 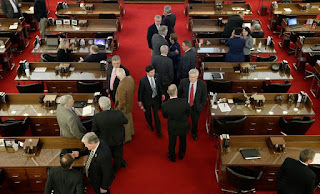 After all, passed it threatens to undercut access to higher education for North Carolina's minority population while prompting targeted institutions to shift their demographics to out of state students or to students with less connection to the Universities' traditional missions. Although done in the name of populism, it is a reactionary populism. If North Carolina's legislators are really concerned with ensuring access at low prices to all of the state's students then they should fund the freeze, as Nicholas Fleisher has argued regarding similar developments in Wisconsin. Otherwise their professed concern for students is simply empty rhetoric. UPDATE: In response to criticism from the University of North Carolina System and the individual universities, the lead sponsor of the Bill has withdrawn the 3 Historically Black Universities from his proposal of a dramatic tuition cut although UNC Pembroke will still be covered.. Inside Higher Education has the story HERE. The simplest political question posed by the ongoing Katehi crisis is, "Can state government trust the University of California to clean its own house?" The non-firing of Linda Katehi says, "No." It's hard to imagine a better targeted confirmation of UC's reputation in Sacramento for poor management. If we didn't have the Katehi Affair, Jerry Brown would have had to invent it. Yes she deserves due process, yes women chancellors deserve it as much as male chancellors do, and yes the campus view should be decisive rather than UCOP's. But UC's bureaucracy should have prevented the chancellor's "mistakes" before they happened, or an internal investigation should have caught them before the Sacramento Bee did, or President Napolitano should have completed her investigation before she tried to fire Chancellor Katehi, or she should have succeeded in firing her on the basis of the preponderance of the evidence she already had. None of these things happened. Dense corporate controls entangle every regular UC employee on a daily basis. It takes dozens of person-hours in a half-dozen offices to set up a post-doc contract. A researcher can wait 6 months--at least I once did--to get final approval on an outside vendor contract when there is a wrinkle, like a specialized foreign researcher who doesn't carry liability insurance. The Katehi affair tells the public that senior managers live by different rules. It says the same thing to UC employees. This fragmenting of the university polity goes deep. It's an effective short-term managerial technique, since it divides and demobilizes. It does enormous long-term damage. We can't measure that with existing metrics. One type of damage appeared in CHE coverage of faculty views, where the faculty seemed not just divided but individually ambivalent and unclear. The title of the piece could have been, "What's Going On?" The interviewees were not working from an explicit standard of management behavior that they felt they should enforce. Contrast these views with the UC Davis students whom Amy Goodman interviewed and aired on Friday. Seniors Parisa Esfahani and Kyla Burke (pictured above) produced precise, detailed explanations of the conduct they were protesting. They tied that to their big picture policy issue, "the normalization of the privatization of the university," which they said was subordinating education to money making. They offered an integrated analysis of the range of Katehi "mistakes" as symptoms of a worldview that they did not accept. The sense of belonging to the university, and the right / obligation to establish principles to which its leadership would be held to account, has come from the undergraduates. I thought Linda Katehi should have resigned after the pepper-spray incident in 2011. I thought this not because it "happened on her watch," but because she was unable or unwilling to fix it afterwards. The officer in question, John Pike, earned global fame for the casual contempt with which he doused seated protesters with pepperspray, marking them as outside of the universitas, outside of society. Chancellor Katehi didn't rush to the students' defense, and/or condemn the act (even with the using "pending a full investigation"), and/or discipline wrongdoers in a direct and forthright way. Her eventual reaction became her trademark: slow, calculated, and unsatisfying. This helped spread the damage through the system, as UCOP hired celebrity chief Bill Bratton's then-firm Kroll Security, with its own conflicts, to investigate UC overall. She seemed not to take hold of the real issue--obvious police misconduct leading to the violation of the civil rights of the protesters, and of their human dignity. "These are our students, or our neighbors. And this is a university," she did not say. She did not convene the university as a community with the permanent, historic obligation to understand itself. My gut feeling was that she presided over "UC Davis" without connection to it. I was struck by her walk through the silent crowd of students, at night, surrounded by bodyguards, unable or unwilling to speak, as though enfolded in a martyrdom of her own making. I won't rehearse her current errors--they have received much attention, including Angus Johnston's definitive anatomy of the inane Internet scrubbling contract. But I will note that her board service was not like that of the other chancellors. She accepted positions at institutions that are directly opposed to UC interests. King Abdulaziz University games rankings with cash payments to prominent researchers for quasi-no-show jobs in exchange for sharing their citation credit, in order to leapfrog universities that have built reputations over decades. Wiley thrives by overcharging universities and their students for their own research results. DeVry prospers more when UC's public funding is less. Such board payments are not invitations to internal critique--these institutions get abundant external critiques for free--but to use public servant stature to legitimate for-profits. Chancellor Katehi has shown serial poor judgment, and to me all the incidents flow from the same failure to understand how people think and feel when involved in public service. She's not a bad person. She just doesn't get it. My diffuse but fundamental concern is the general aura or ethos that Linda Katehi has helped sustain. It's not so much the petty self-dealing, culminating in putting her reputation ahead of that of the entire university's, as it is the short selling of what a university is. The university should stand for justice, enlightenment, and the continuous reconciliation of our private interests with the general welfare. It should constantly trace great teaching and research back to open communication. It should benefit student finances rather than hurting them. It should be a public good in the existential sense, where, for starters, regular citizens feel like the university is on their side. It should model democracy, starting with managers possessed of generosity toward the role of student protesters in having prompted the investigations, and of enough epistemological humility to learn from critics. This is the university I want. I'm convinced the wider public wants it too. We have already learned what happens when we don't deliver it.